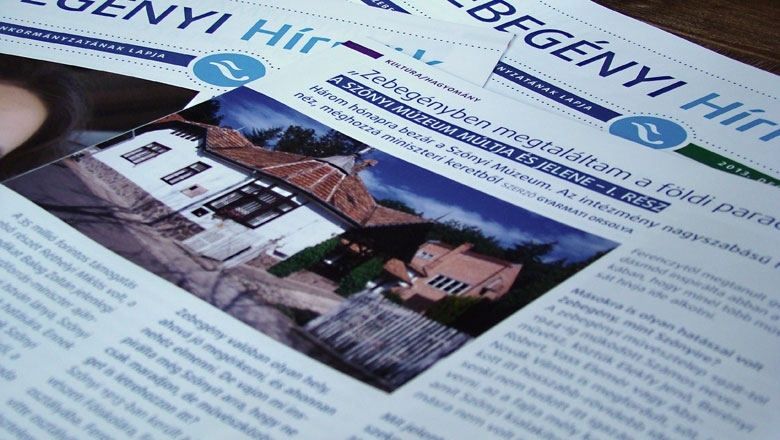 Following the request from the Municipality of Zebegény, I created the visual image for the local newsletter the Zebegény Herald. Regarding the visual image, it had to conform to the visual image of Zebegény and must have its own identity. 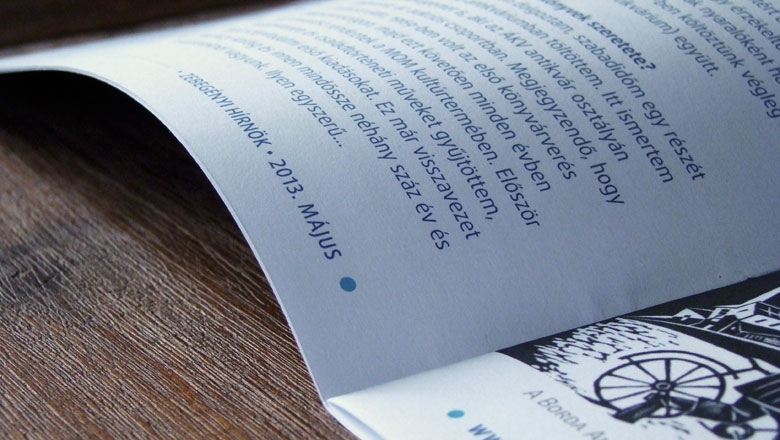 Thus the ‘Zebegény blue’ color of the text and headings to which I have selected brisk cyanide blue. 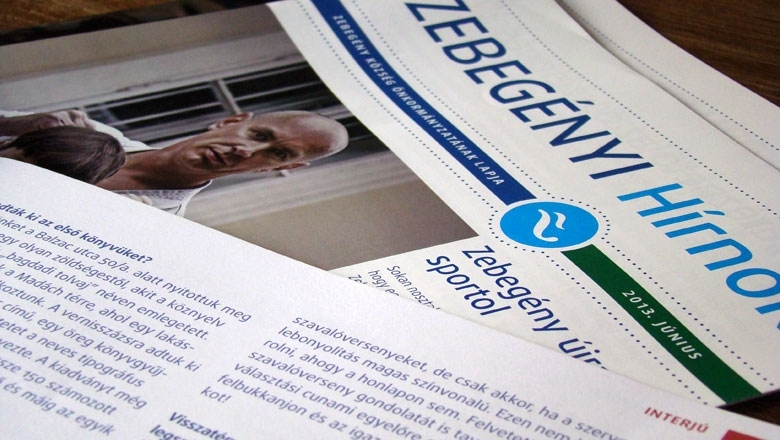 The ‘Z’ in the Zebegény logo is placed in a cyanide blue circle as an additional ornament of the newspaper logo in the headings. 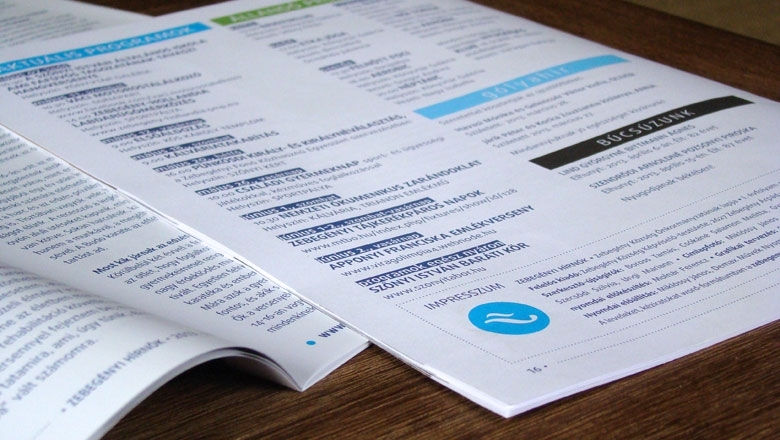 The main objective while creating the design for the newspaper was that the readers would encounter clear and transparent pages which are illustrated by large pictures and the visually separate columns would facilitate the transparent structure of the newspaper. 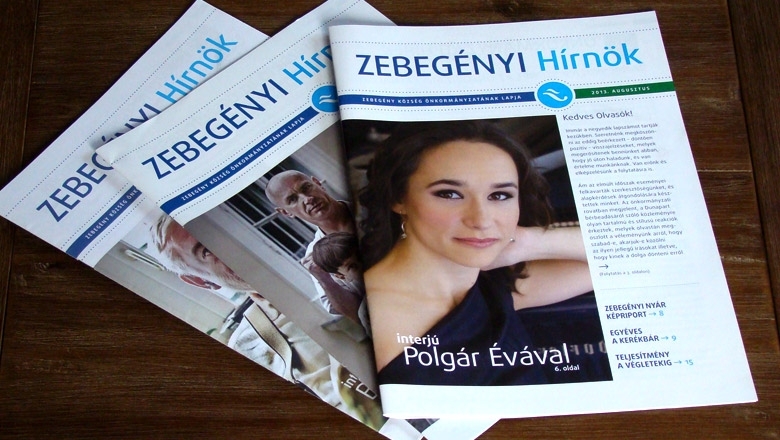 Through the design of the Herald the visual image of Zebegény has been further improved by such a meaningful item that is directly familiar with the local population.